Rain splashes, shooting stars and rainbows. 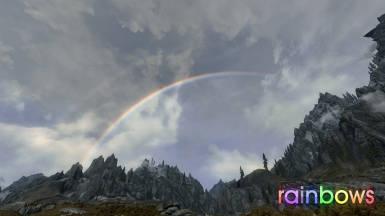 Deathless Aphrodite and oc3 for inspiring me with Rainbows in Tamriel and Better Rainbows. SparrowPrince for the rainbow meshes. Added a performance mode, which brings the number of splash effects back in line with the standalone. Enabled by default but can be disabled if your system can handle it. Interior rain sound effects are now automatically disabled if True Storms is installed. The following are changes from the standalone versions. There is no direct upgrade path from the standalone versions. A clean install or a save without any of the previous versions installed is highly recommended. Splash of Rain: Implemented a new method to increase splashes at all levels with little to no additional performance impact. Rainbows: Increased the variety of rainbows. MCM options are now available. Moonbows removed. Shooting Stars: Shooting stars have a new look: they are larger and move more slowly. Colored shooting stars removed. Added new dialogue for innkeepers indicating when an event is active. Made performance optimizations to all three features. 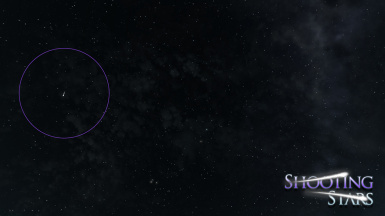 SKSE is only needed for the configuration of this mod through SkyUI's MCM. Features from this mod can be configured through SkyUI's MCM. Rain impact splash effects appear on most uncovered surfaces during rain. Ambient, rain sound effects play in interiors with keywords LocTypeHouse, LocTypeStore or LocTypeInn. If you are unable to see the splash effects, you may need to go into your skyrimprefs.ini (Documents\My Games\Skyrim) and increase the value of iMaxDesired under [Particles] by increments of 50 until they show up. Shooting stars aka fragments of Aetherius appear in various sizes and fall from various positions in the sky at night (8:30pm to 6:00am). The general direction they fall in will change on a monthly basis. Meteor showers (shooting star frequency increased) are guaranteed to occur during certain nights of the year. The dates they occur on coincide with the actual meteor shower dates of Earth. Meteor storms (shooting star frequency greatly increased) have an extremely low chance of occurring each night. You may see them 2-3 times per in-game year. Innkeepers will have new dialogue on the night an event is active. Rainbows will appear after a weather transition from rainy to clear when the sun is low (8:30am to 10:15am and 4:00pm to 5:45pm). They can also appear as a result of early morning dew (8:30am to 9:00am) in the warmer regions of Skyrim. These are much more faint. Object Fade under advanced options in your Skyrim launcher (or fLODFadeOutMultObjects in SkyrimPrefs.ini) must be set to at least 10. Compatible with all mods. Load order doesn't matter. Manual: See the manual installation document in the archive. Mod Managers: Download the files and add to your respective programs. Steam Workshop: Hit the subscribe button. This mod automatically refreshes itself with each revision. When updating (manual or mod managers), simply uninstall the previous version and install the updated version. When uninstalling, make a save in an interior location with no effects playing and then remove all installed files. 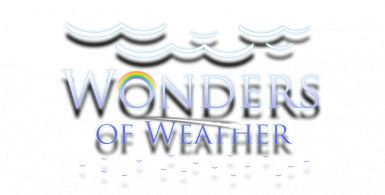 Make sure WondersofWeather.esp and .bsa are no longer present in your Data folder.